The boxes that get left in the attic over the years, used to store Christmas decorations and so guaranteed a job for life, seeing the light of day once a year. These ones date from the 1950s and 1960s. The book is the Jonathon Cape Florin edition of E F Benson’s Spook Stories. 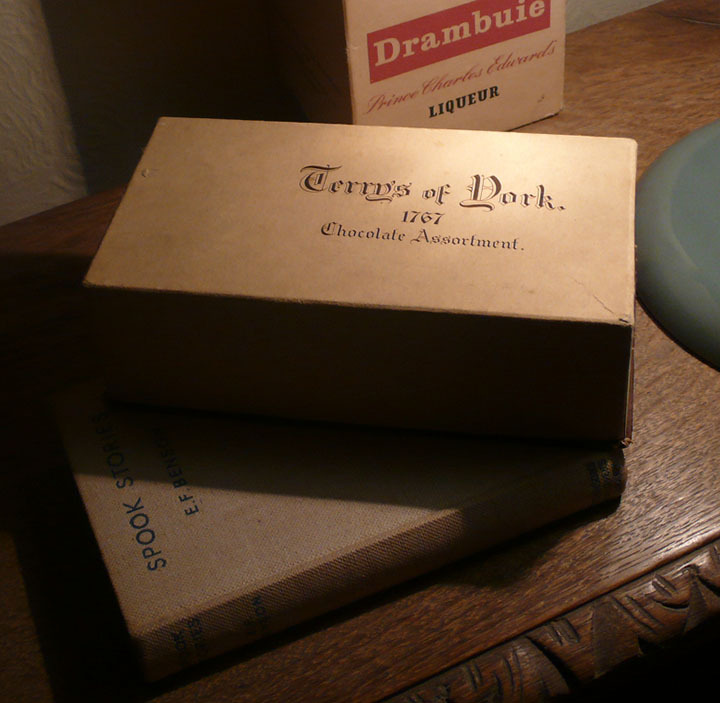 They are beautiful things, free from the faux-sophistication of today’s packaging. 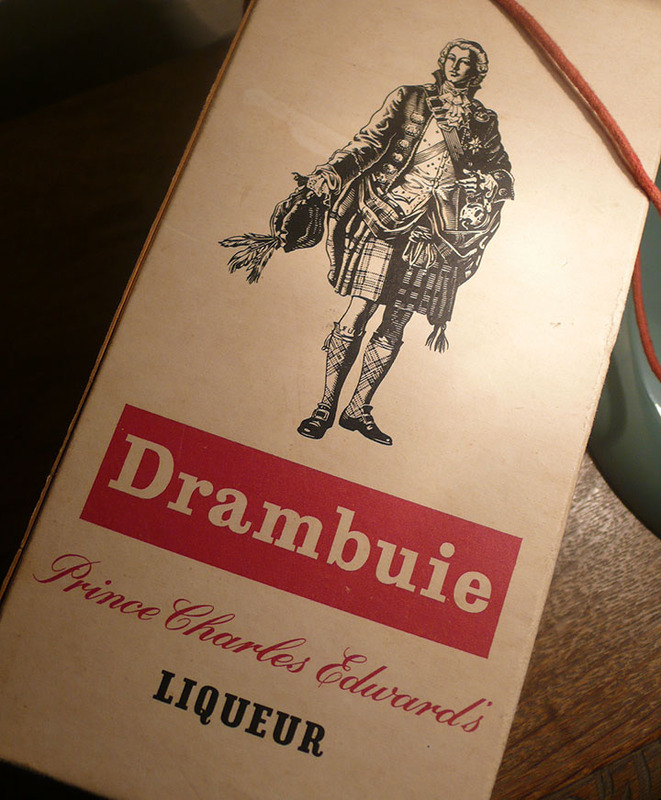 Sadly Drambuie has suffered a shiny metallic update in the 21st century, not quite as bad as what Harvey’s did to their Bristol Cream however. I mean, I don’t drink sherry, but I liked to know it was there, in the same way as HM the Queen is there if you want to look. 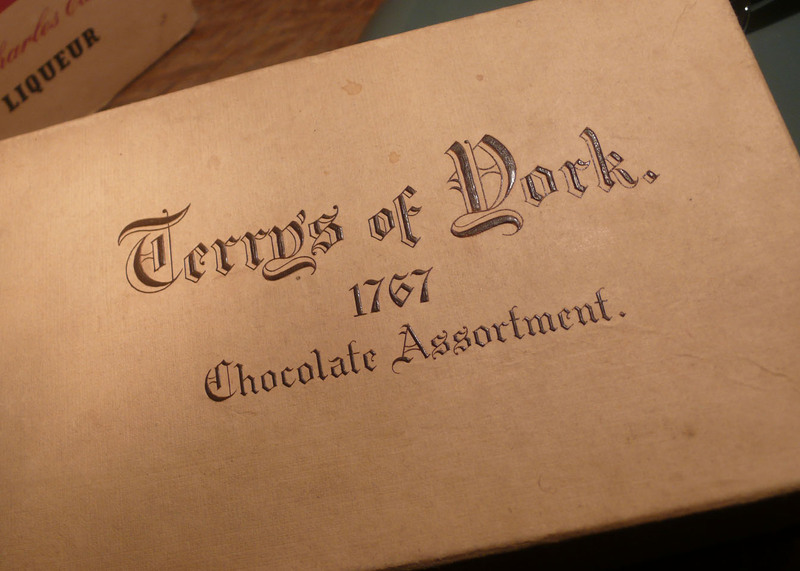 The chocolates are named after the year the company was founded. 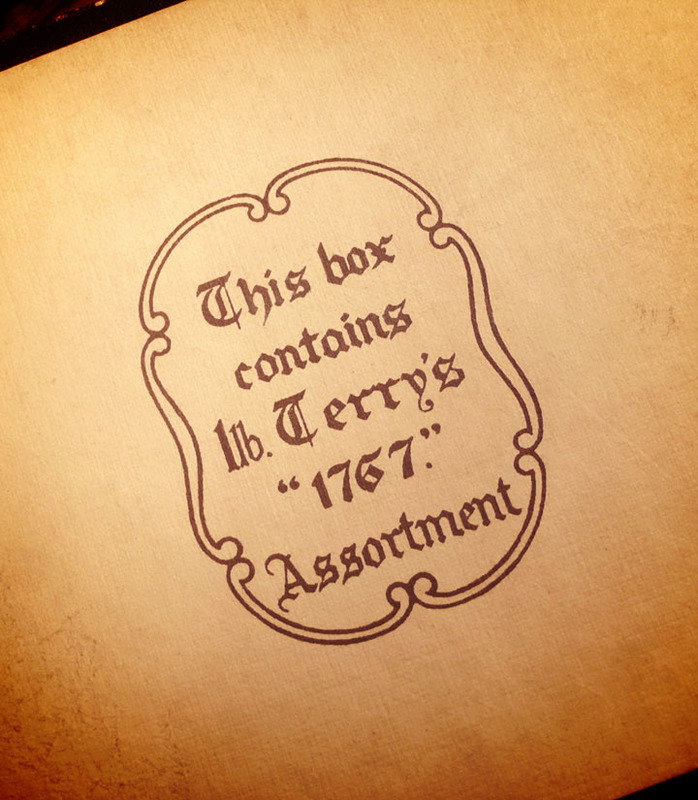 Terry’s of York no longer really exists. Read about them here, and how the Grade II listed chocolate factory is as of the moment becoming “mixed-use residential, commercial and leisure”. 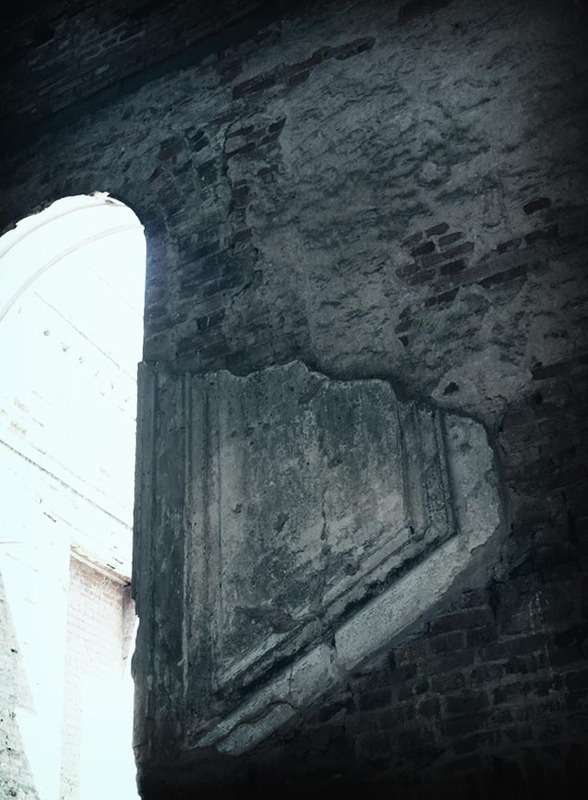 But the building remains. And England, just about, still makes chocolate in Birmingham. 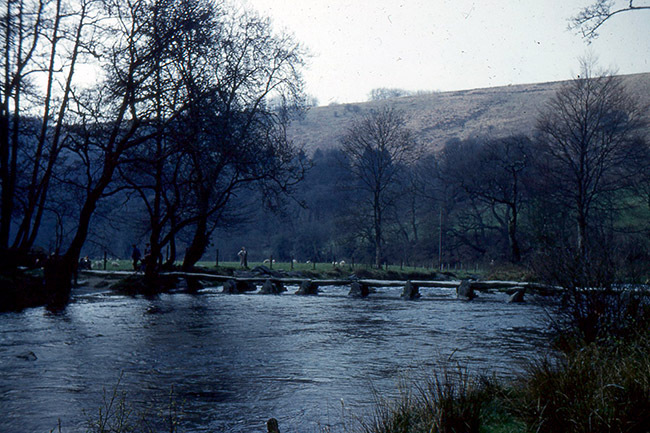 And Dorchester, and Skipton. 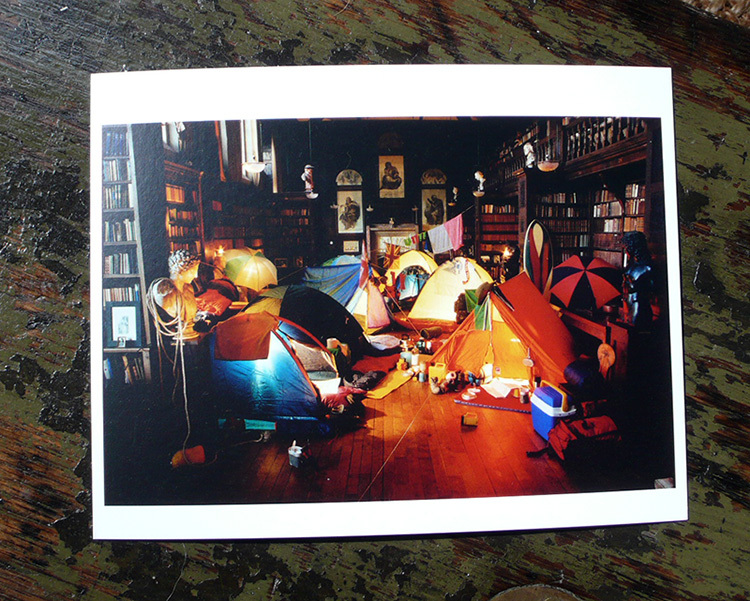 The above image is called It rained outside so we camped indoors. 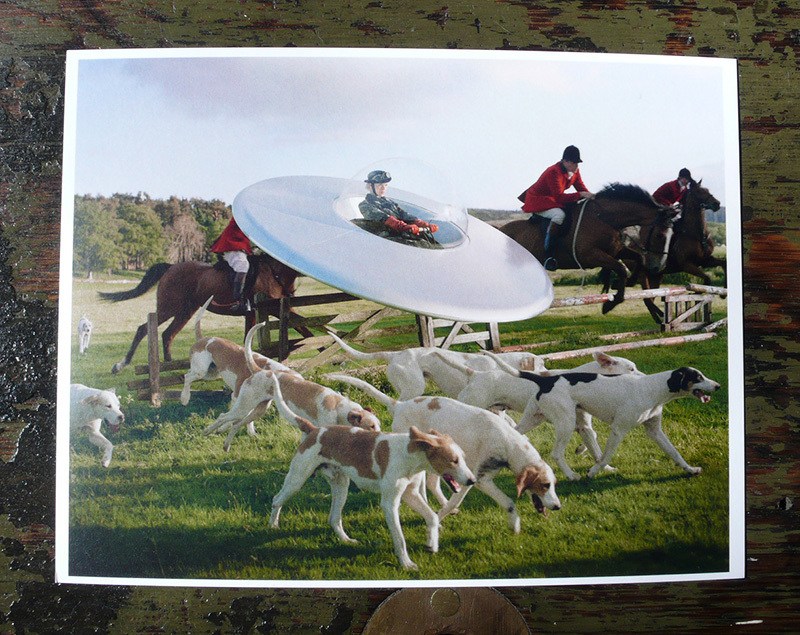 And another hunting image – Flying Saucer with members of the West Percy Hunt. 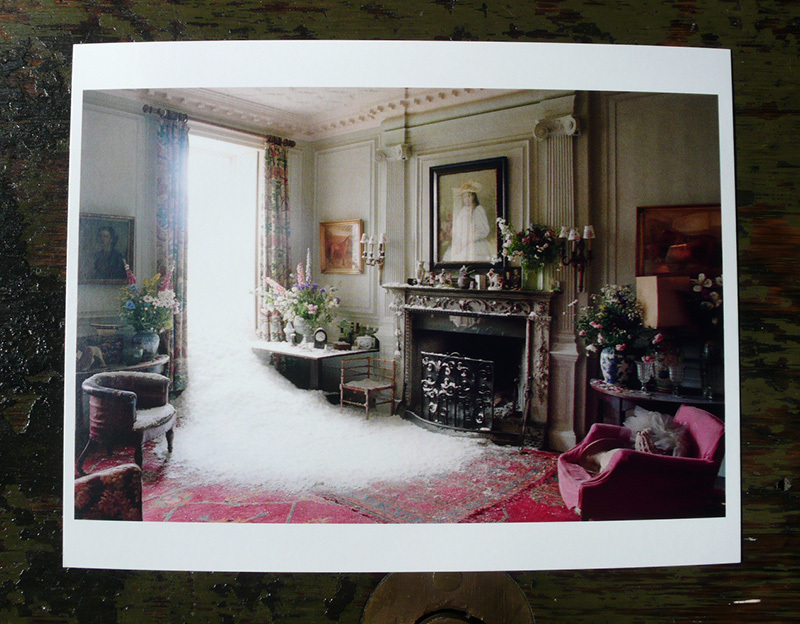 All these photographs are constructed, using props, and are not the product of digital manipulation… to quote the essay, “To reveal the ambition of photography as an integrated, collective undertaking where the pressing of the shutter on the camera is the closing moment in the creative process”. 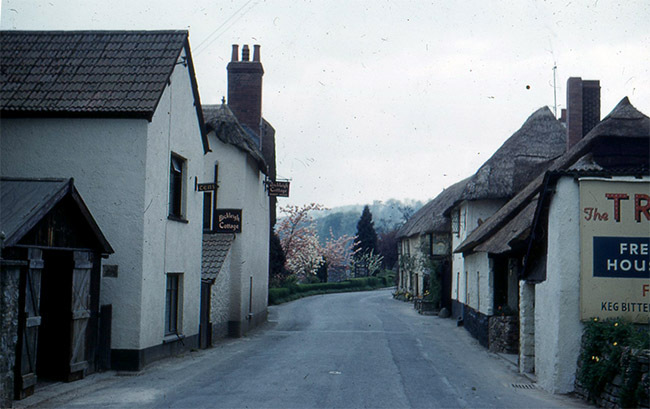 I’m not sure how many exhibitions work so successfully, when small elements sit quietly in your mind and then crystallise a particular moment in your own history – my parents, Devon, and the 1950s – a time before I was born. I’ve looked at my parents’ slides many times over the years. They’re blueprints in my memory of a time I never knew, acting like gentle magnets, as I drift along. In the 1950s my parents moved all the way from Yorkshire to North Devon and bought a new bungalow on the edge of Tiverton. 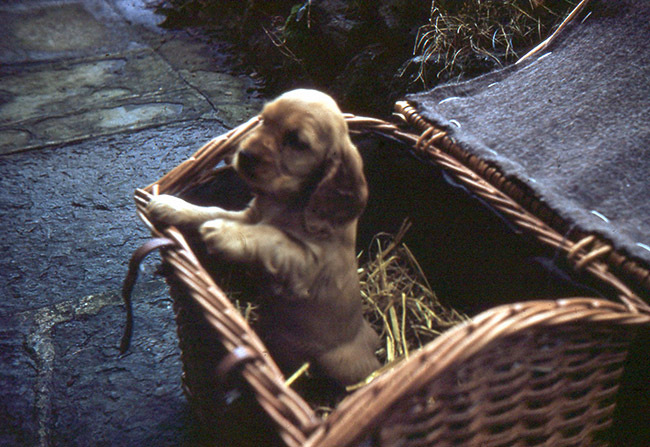 Not long after they went to the railway station to collect a puppy, a cocker spaniel who had travelled by train, in a wicker basket, from a breeder somewhere up country. I can’t imagine if the basket was shut or closed on the journey, but assume the breeders knew what they were doing for the time. 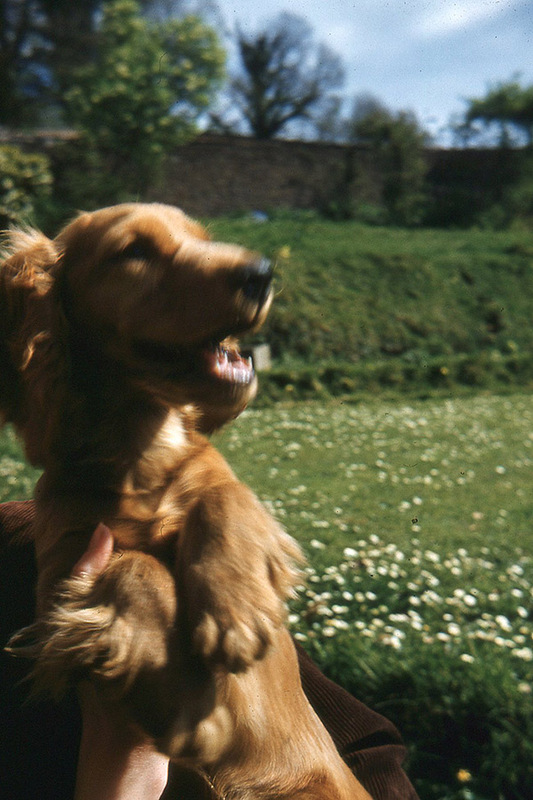 The puppy was called Sherry, after the drink which matched her fur, but her kennel club name was the grander Gatehampton Caroline (although no-one would have any interest in dog shows). These slides were taken on a camera which never worked by the time I was born, but I loved the beautiful brown leather case (which led to me choosing my current camera over ones which were probably much better value…) Taking photographs was much harder in the 1950s, and I’ve found the guide to ‘successful photography’ which must have been bought in an attempt to make sense of it. It looks a particularly lovely moment in time, but my father could never settle in one place and Hollywood films are artificial for a reason, though I can’t imagine Yorkshire stock being under any illusions about this. 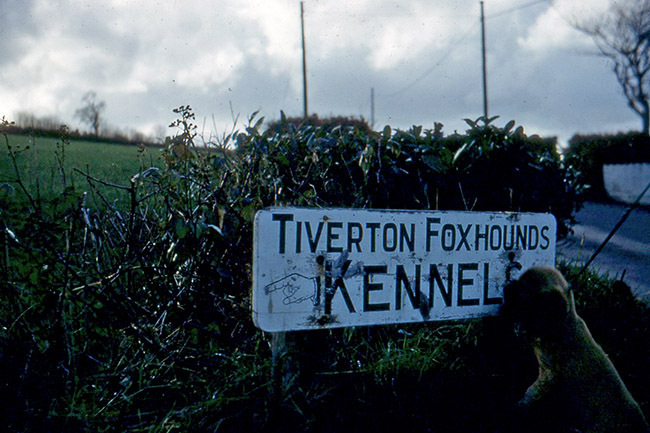 North Devon and Exmoor is still, and always has been, organised around hunting and shooting. 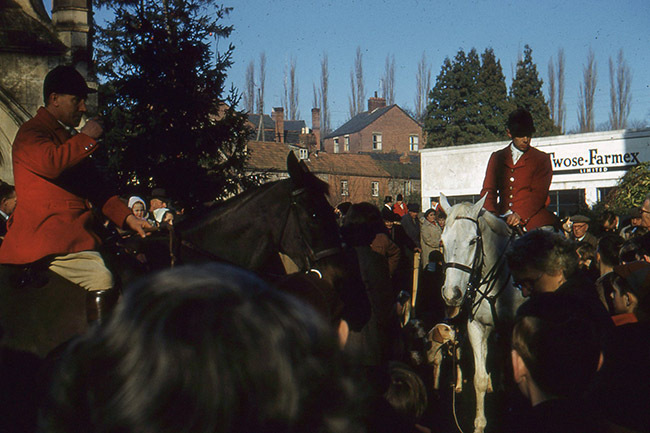 I’m not sure what Sherry is making of this sign, but on Boxing Day she may have gone into Tiverton to see the spectacle of the hunt meet. 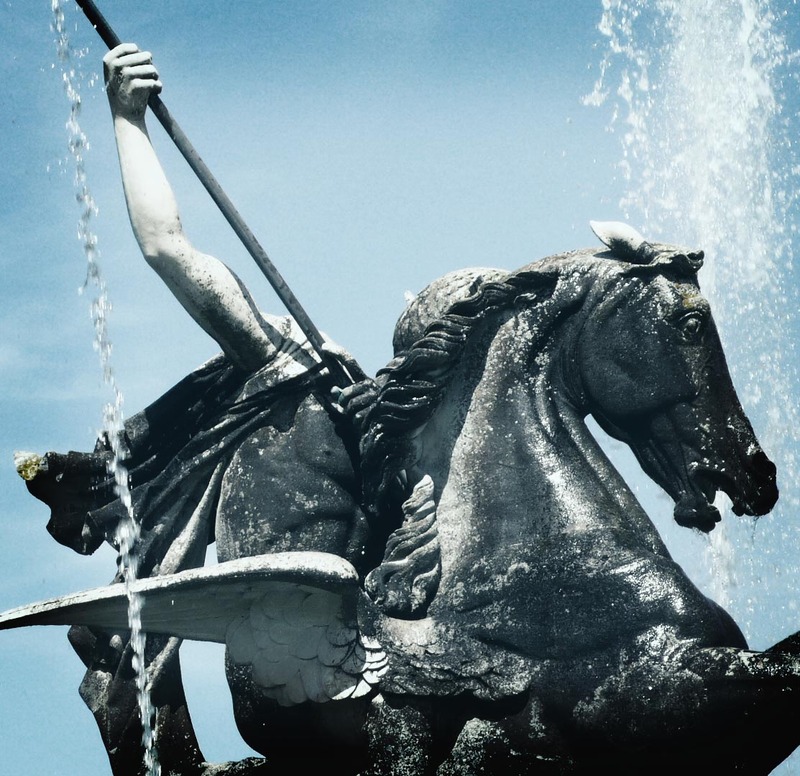 I’m sort of ambivalent about hunting, despite a gut reaction of repulsion, because there’s something primeval and ancient about it: a dreadful fascination. 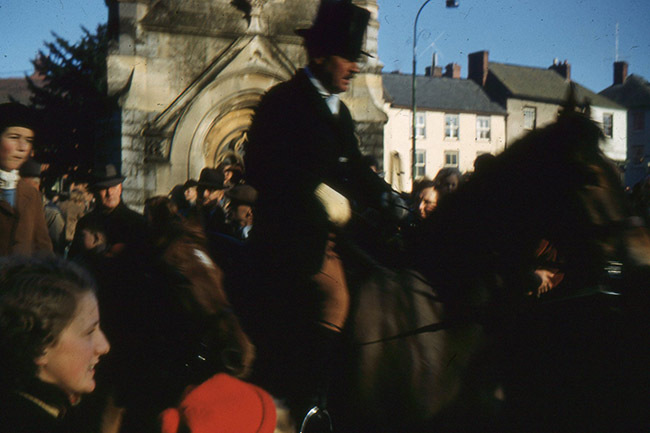 These photos from 1958 look so vivid I can imagine every sight and sound in the town square, and the colour of the winter light is beautiful. 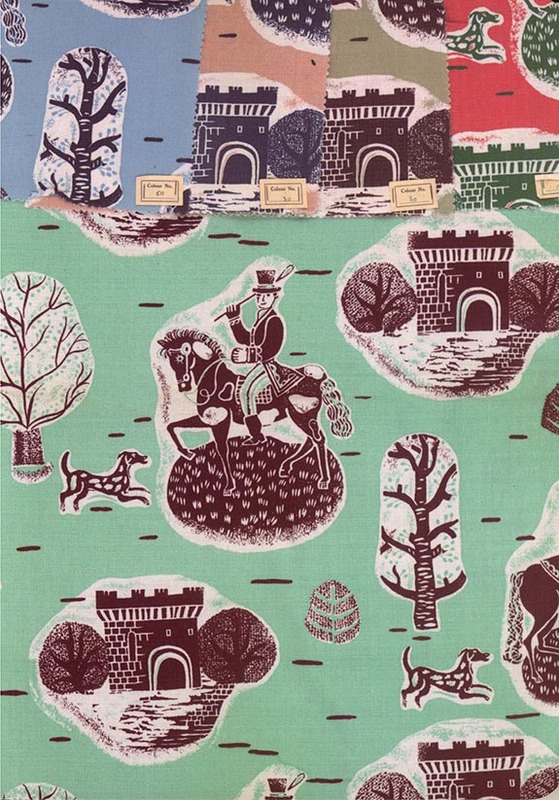 A textile produced in the early 1950s for Edinburgh Weavers by Marian Mahler… it’s actually a notebook from the V&A. 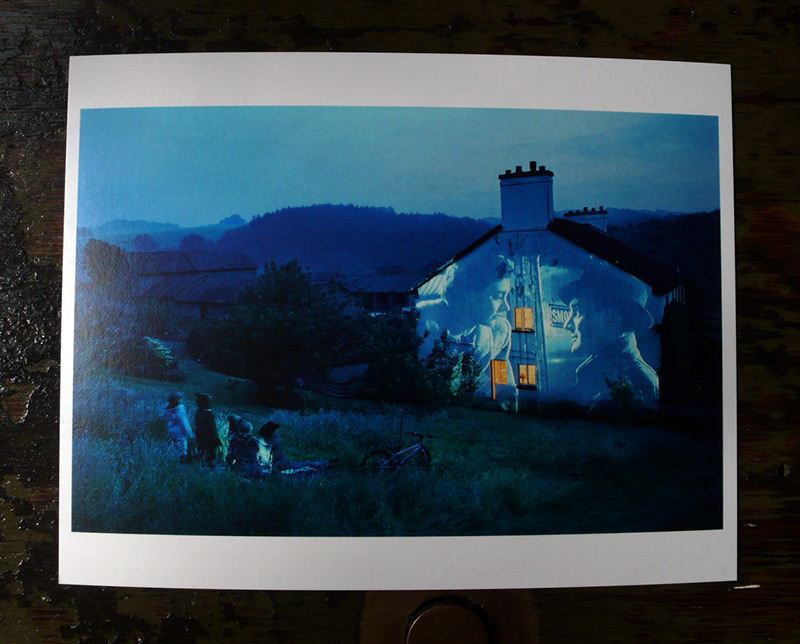 Don’t think there could be a better evocation of a particular type of countryside. 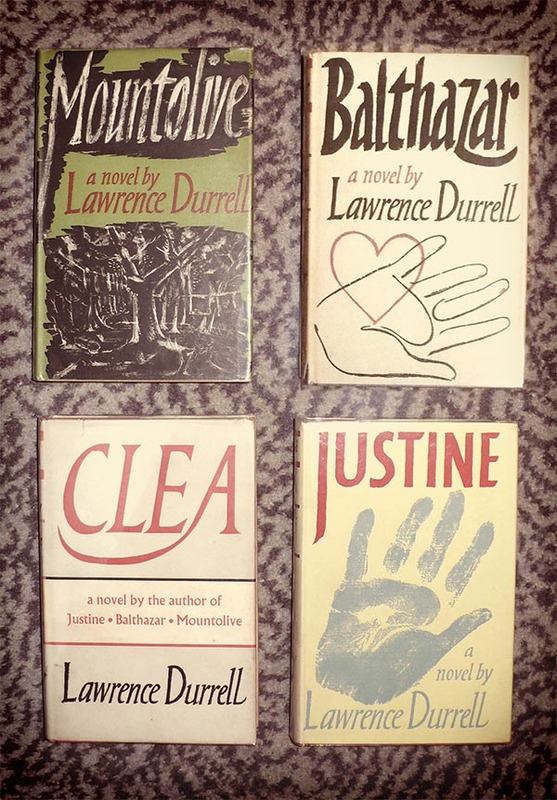 I think some people discover Lawrence Durrell having read My Family and Other Animals when small… and so can’t quite forget the satirical portrait by his brother. 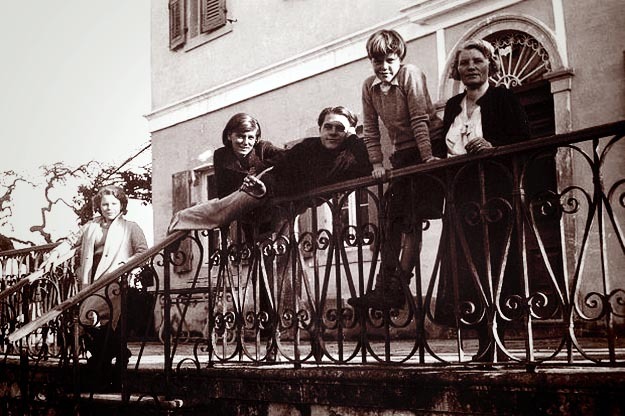 Interesting that My Family and Other Animals was published in 1956, just before Lawrence (below, centre) produced his best work and secured the literary world’s respect and recognition. A stop at Witley Court near Worcester on the way to North Wales. Partly destroyed by fire, gutted for salvage in the 1950s, and perfect for the recent meander at WhistlesintheWind about what we keep and throw away… pondering the popular view of Britain before the 1960s, what modernised us, and the things salvaged from the 20th century’s garbage skip. Witley Court is well-managed by English Heritage, a grand shell with a centrepiece fountain that fires on the hour. There’s a very particular atmosphere, and the link here is actress Deborah Kerr, who appeared in two films that came to mind while wandering around. One was Jack Clayton’s 1961 film The Innocents, based on Henry James’ Turn of the Screw. Somehow that film made the bright sun of a summer’s day coldly haunting, with images across the water of the house in cadaverous silence. In complete opposition, I also remember Deborah Kerr in a technicolor comedy with Cary Grant, about the inhabitants of a stately home ‘forced’ to take in guided tours to maintain their lifestyle. 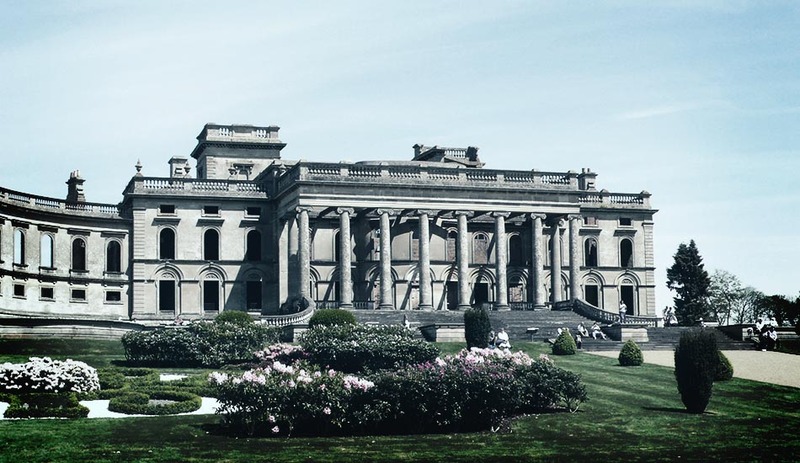 Witley Court is both – families, dressed in shades of Italian ice cream, sit happily on the manicured lawns, while the brooding, slightly resentful shell of the mansion stands over them. 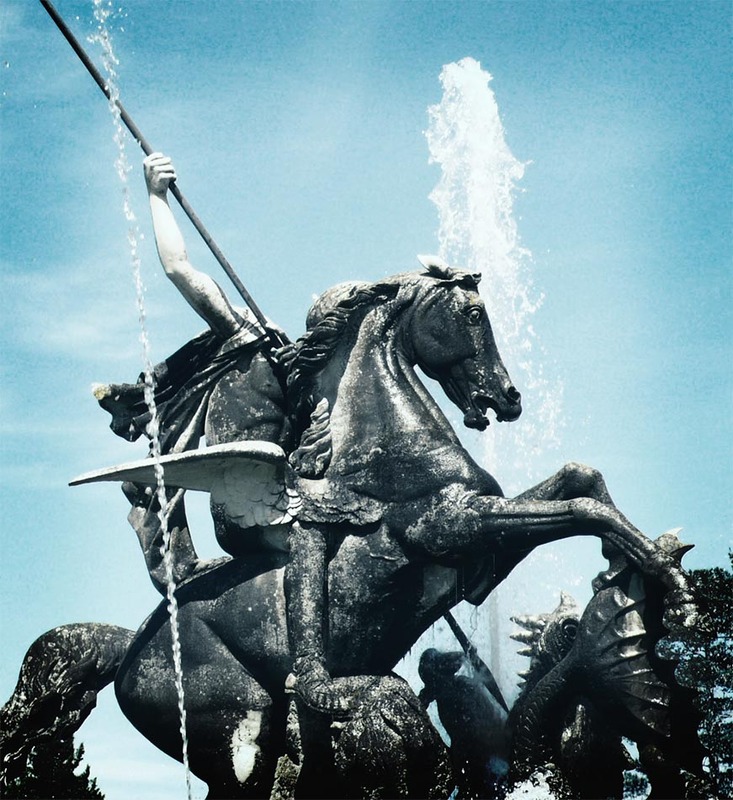 Solid, stoic – it will not be moved. Perhaps this is all we need? Nothing could be more honest than Witley Court. The architecture seems to speak more powerfully as a shell – part of the story of the 20th century told with unsentimental beauty. I remembered last year’s visit to Castle Howard in Yorkshire. 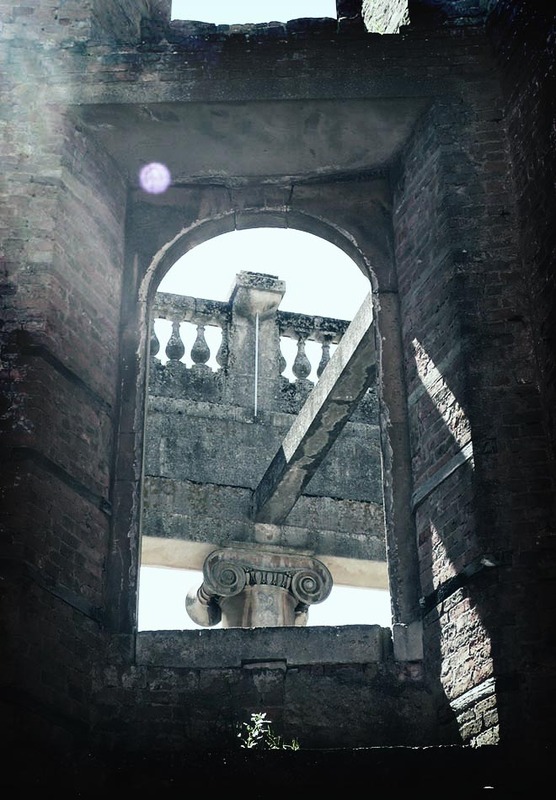 I had wanted to go there for years, but what waited there was fairly hideous… a house, like Witley Court, once partly destroyed by fire (in the 1940s), yet risen again. In the 21st century some aspects can only recall garish images of stately grandeur: garden centre statues or statement wallpaper in out-of-town superstores up and down the land. 2012 in Ambrosia: The whine of WhistlesintheWind leads to the fall of the British aristocracy; Castle Howard is closed and becomes a home for retired spaniels. Elsewhere, it seemed the very essence of the British heritage industry at its worst: the empty, shored-up and once fire-damaged rooms are barely filled with bored displays flogging the dead horse of the 2009 remake of Brideshead Revisited. 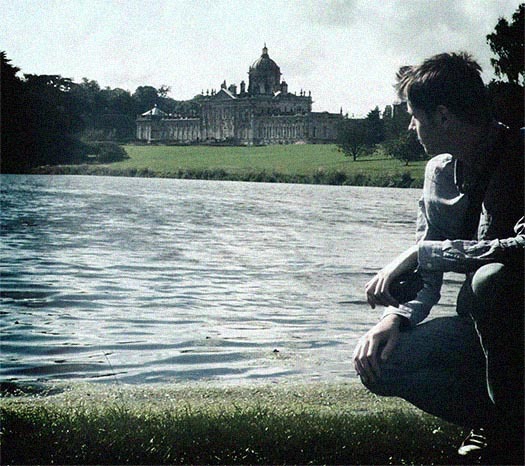 Castle Howard is itself unconnected with any of Waugh’s inspiration but remains in the Arcadian imagination as the stage set for the iconic 1981 TV drama. And yes, something from an earlier age remains – in the occasionally fawning and obseqiuous manner of attendants drooling over the family portraits. 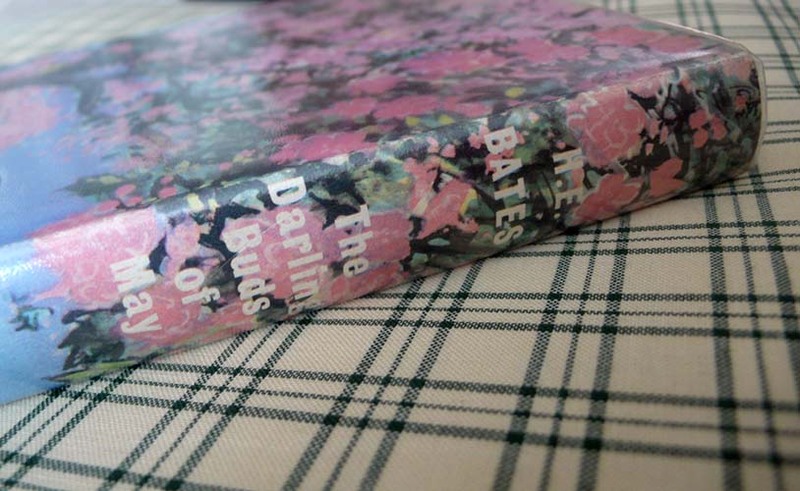 Brideshead ended the war as the ghost of its former self. If heritage supermarkets with their cafés complete with suspiciously-stained sofas are what we need to feed a dream, then perhaps we should have let Charles Ryder ride away down the drive in his jeep, never to return. 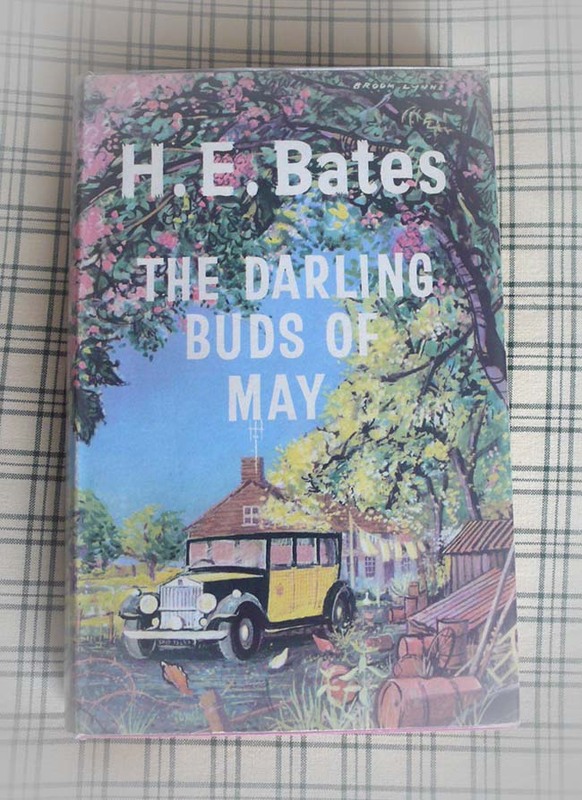 1958, and the first edition of The Darling Buds of May, with artwork by Broom Lynne. Sky-blue formica, fresh lemonade and the scent of cut grass.